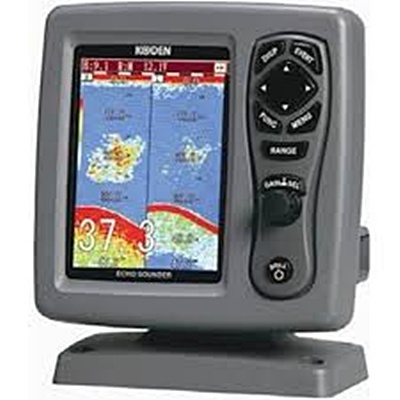 Digital 5.7" Dual-Frequency Color LCD Fishfinder. SI-TEX's state-of the-art digital signal processor offers advanced filtering capabilities. The SI-TEX Digital Filtering feature eliminates clutter by filtering out the noise to provide a clear detailed image that enhances fish targets in shallow and deep depths. Making it easy to differentiate between baitfish, larger fish, schools of fish and the sea floor. Exclusive Sona-Tone identifies what's under your boat with different sounds for fish and schools of fish. So you will not miss any good opportunites even if you are away from the CVS-126. Leads you back to your favorite fishing hot spots or other previously saved positioning in memory with input from optional GPS sensor. YouStores up to 10 screen images in built-in memory for recalling later by "one-touch". Great for recalling a potential hot spot for review later. Easy access to all system functions with simply arranged keypad, dedicated-functions keys, rotary-knob control of Gain/Selection and comprehensive on-screen menus. Brilliant 5.7" color LCD display with 8, 16, or 64 color levels and an anti-reflective coating for excellent readability in direct sunlight.